As we were very close to start manufacturing, we have been thinking a lot about sustainability and quality, and what it means for us as creators… It is very hard for us to announce that we are going to delay the Mirabook shipments to May 2018. We, the Mirateam, are committed to provide you the best experience as possible and create the next revolution with you and for you. We apologize for this news, and we hope you understand it’s for the best. 1-Product Quality: The Mirabook is a high-end lapdock and we want to make sure it will last for long. That’s why we are planning additional tests and certifications in labs and your feedbacks. Some of you will be randomly selected to beta test the Mirabook during December. More info incoming in few days if you are selected in the 20 members. Please apply to the Beta test program. 2-CES 2018: We have been selected to exhibit at CES Las Vegas 2018 with Business France, which is a tremendous opportunity to find retailers for the Mirabook and increase the production quantities. It is rational to optimize and wait for big orders from distributors before launching a production. 3-Partnership opportunity: We cannot tell much about it, but we have a very very strong partnership opportunity with a big company. Unfortunately, we are still a small team and it monopolizes our precious resources, so we just couldn’t guarantee a delivery in December. 4-Chinese New Year: It’s a small issue but known from every good manufacturer. January and February are very busy in China because of the Chinese New Year so it’s very hard to plan a production at these dates, so it will happen in March/April. Happy Chinese New Year! With these reasons in mind, we sincerely hope that you will stay with us in the Mirabook adventure. Some of you may be used to this kind of news from crowdfunded projects, but some of you are not. In any case we apologize and the Mirateam will keep working very hard to please you. This was for the bad news, now let’s talk about the good news. 1-We have new exciting features to announce: First, many of you had hesitations about the Mirabook because it had no backlit keyboard and we had a stretch goal to add this feature. 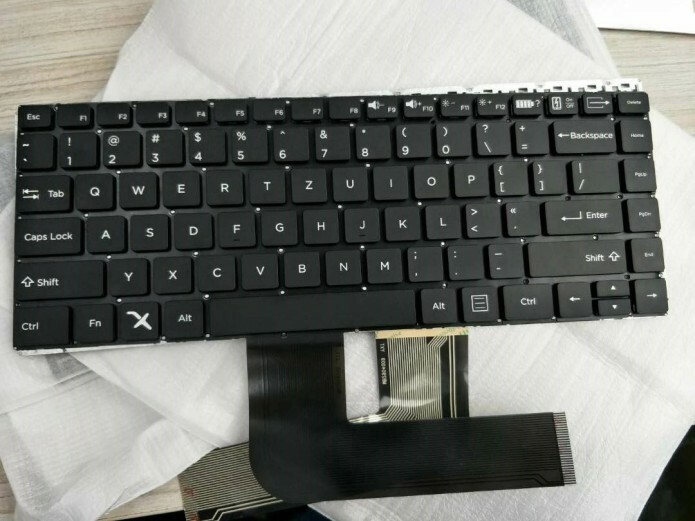 Well, we’re very happy to add a backlit keyboard to the Mirabook without any extra cost for you! Then, we had also an issue with the battery life because we wanted to reach 24H of battery. Again, this is a feature that was defined as a very high stretch goal. Our engineers are now working on a battery saver mode in order to reach at least 15h of use. There is a possibility to improve again at 20h and we will explore how we can manage to upgrade the battery. 2-The list of natively compatible devices is expanding which confirm that we have made the right choice about the next technology. You can now add the Huawei Mate 10 and Mate 10 Pro as fully compatible device with their EMUI desktop mode. Also, the Razer Phone will be able to display on the Mirabook which will provide a great gaming experience. We have made some test about Samsung DeX and it works very well. 3-The Mirateam has created a partnership with the Auxens startupto bring a PC mode for Android. 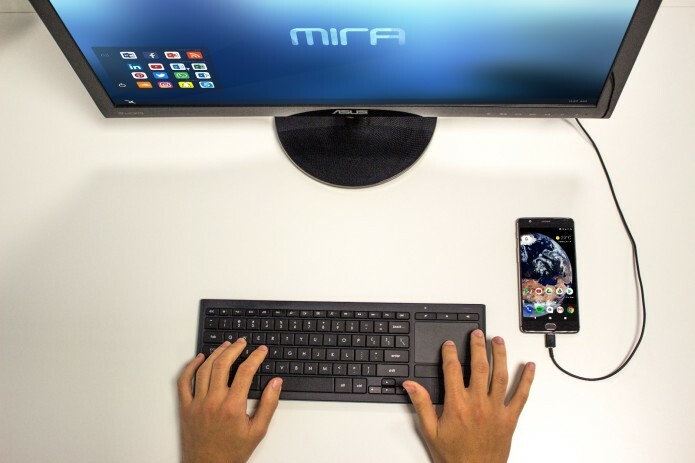 Introducing Mira, a neat and optimized PC mode made to regain productivity, in one hand. Our ambition is to work with smartphone brands to provide them full compatibility with the Mirabook and the future products to come. If you guys, have contacts in big smartphone companies, please let us know. 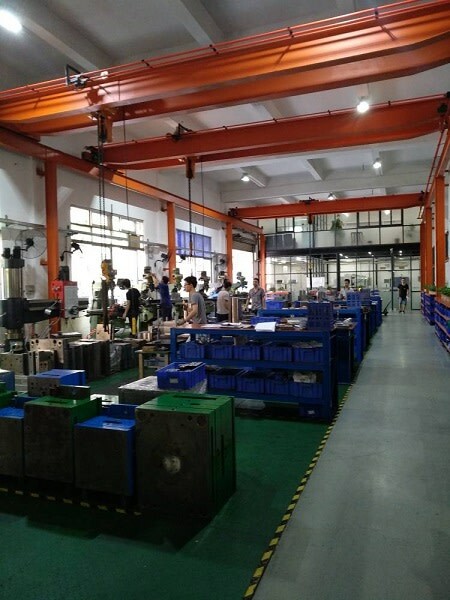 4-Our Engineering team will go back to China once again to monitor the manufacturing process. Furthermore, we will extend our trip in Asia to meet new parnters and speed up the project. If you have any question, the Mirateam is here to respond. If the Mirabook is the bridge between Smartphones and PCs, then you are the foundation of that bridge. Every day we receive your messages and we thank you for being optimistic and patient, all of this would have never happened without you. We’re considering of organizing a meetup to show you the Mirabook, tell us if it’s a good idea. I did not notice if the Google Pixel phone is supposed to be compatible. I know it was mentioned as being so when the stretch goal of $200K was reached. Is that still the case? And when will we get notification most likely of the expected shipping for our Mirabook next year? Around May? Thank you. 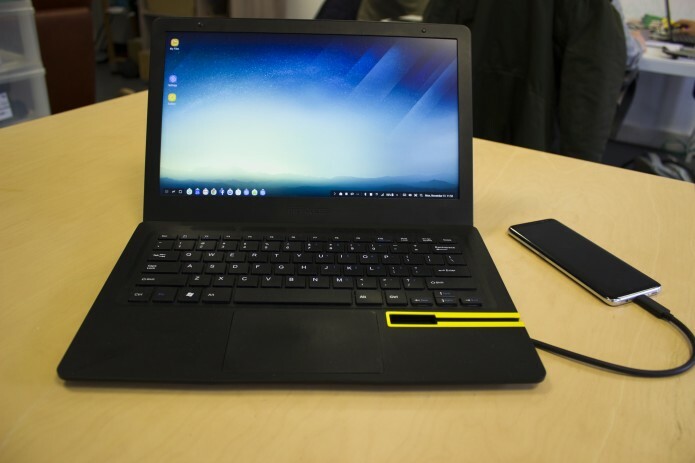 In order to be fully compatible with the Mirabook, the device needs to be usb type-C and DisplayPort port. However, the Google pixel phone will be compatible with the adapter. Beta tests are about to start and production has been settle during february following first experiences and uses. First shipments will start at the end of april. Our shippment deadline for the first 2000 units will be the 1st of May 2018.